Mount Kōya (Kōya-San), Located in Wakayama Prefecture, is a place of beautiful scenery and rich history. It is a place of great spirituality, and is a UNESCO World Heritage site as of 2004. 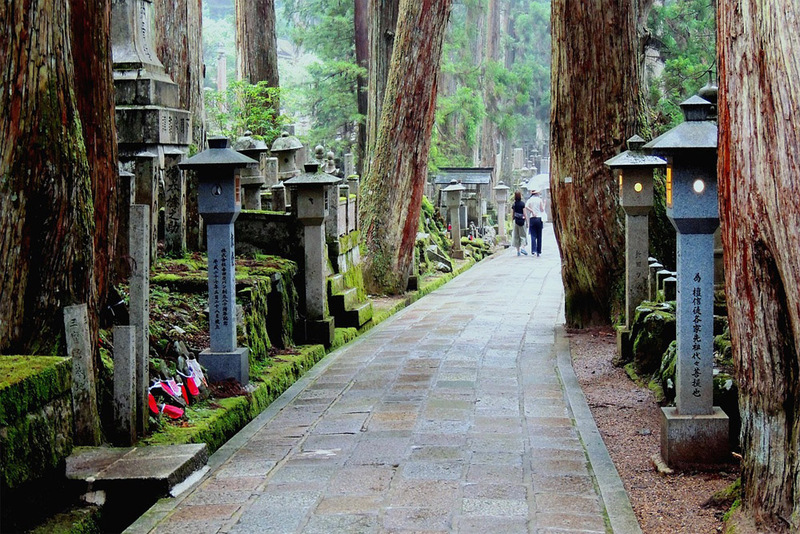 Mount Kōya is home to Okunoin, the largest graveyard in all of Japan. The forest which Okunoin is in is eerily silent, where only the occasional bird and the echoing of your voice can be heard. There is an overwhelming presence of death which resides in the forest which add up to a pretty unique spot that is hardly known to foreigners visiting Japan. 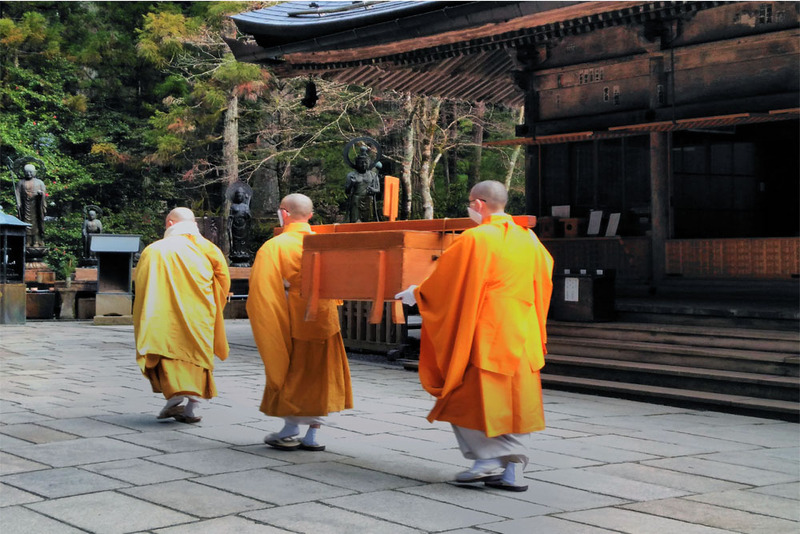 Kōya-San is one of Japan’s most sacred places, and it all begins several centuries ago in the 7th century. Here, you will find the mausoleum of Kūkai. Kūkai was a poet, a monk, and an artist. Today he is known as the founder of the Hiragana language and also one who changed Japan’s perspectives on the Buddhist religion. It is believed the Kūkai is still alive today, but has remained in a state of eternal meditation since 835AD. To this day, monks bring Kukai 2 meals every day in hopes that he will someday wake from his meditation and bring peace to our broken world. In addition to Okunoin, There are over 100 temples and shines in the small town, allowing for plenty of exploring for those interested in culture. You can easily spend 2-3 days in the area exploring all the historical sites, the Okunoin Cemetery, and various other walks. If you have the opportunity, staying inside a Buddhist temple as an overnight guest would be highly recommended as the temples are absolutely beautiful. Staying at a Buddhist temple is a great opportunity to really get a better understanding of the Buddhist religion, as you will be required to take part in the Buddhist lifestyle for your duration of stay. Evening meditation sessions, vegetarian meals, and 6:00am prayer sessions are all part of the experience. Although it might not sound appealing to everyone, trust us, afterwards you will gain an whole new perspective on their religion and lifestyles. 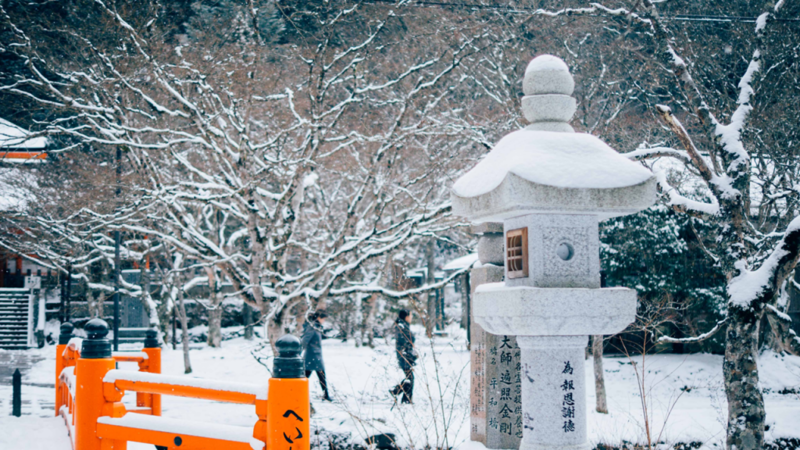 Kōya-san is located in the mountains of Wakayama prefecture, and because of this, you will need to pack warm clothing, especially in the winter. During summer, it does warm up to roughly 20-25°C on hot days. Kōya-san is located near the northern borders of Wakayama prefecture. It is a little difficult to access due to its location. Train services do not run through this peaceful town, so if you are starting in Wakayama city, you will need to take a couple of train lines to Gokurabashi station, and board a cable car from there which will take you to Koyasan station, from there you will need to board a bus to get to the main town center as the station is a couple of kilometers away from the town and walking from Koyasan station to the center of town is illegal. Buses will only cost 290yen to get to Senjuinbashi bus stop, from there you can explore Kōya-san! Trains run here directly from Osaka on a couple of services, a limited express line, which will cost 1650yen and that will take you to Gokurabashi station. Or for just over half the price (870yen) ,you can take an express/rapid express train, taking twenty minutes longer, and you will need to transfer at Hashimoto station, you will arrive at Gokurabashi station, where you will then need to board a cable car, which costs 390yen, and then you will finally arrive at Koyasan station where you will board your bus.